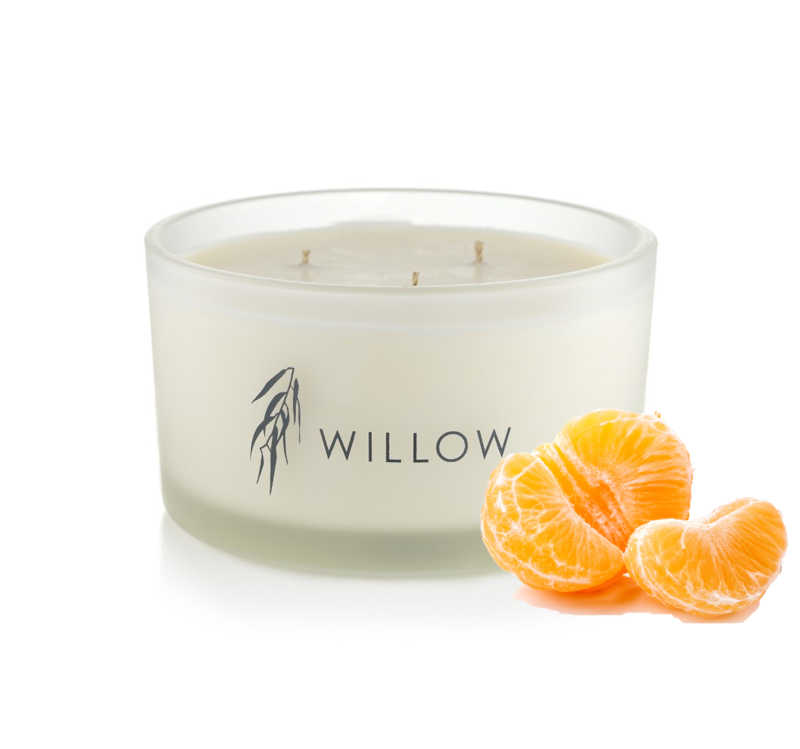 Revitalising fragrance of Orange, Lime & Bergamot to refresh the senses. 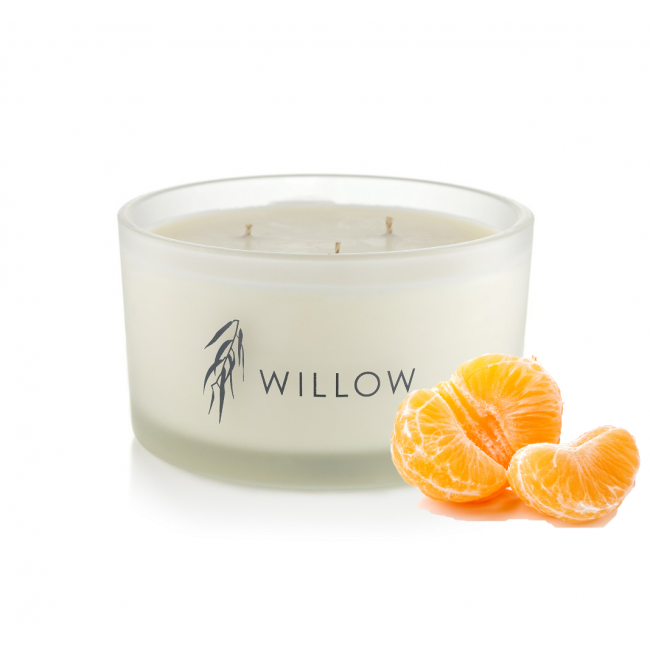 Our carefully formulated revitalising fragrance of Orange, Lime & Bergamot to refresh the senses after a long day. 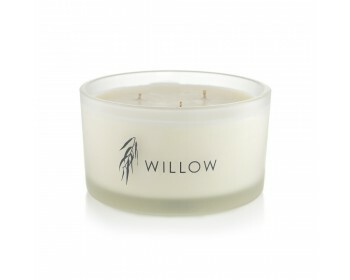 Willow's 3 wick candle is the ultimate in luxury fragrancing. 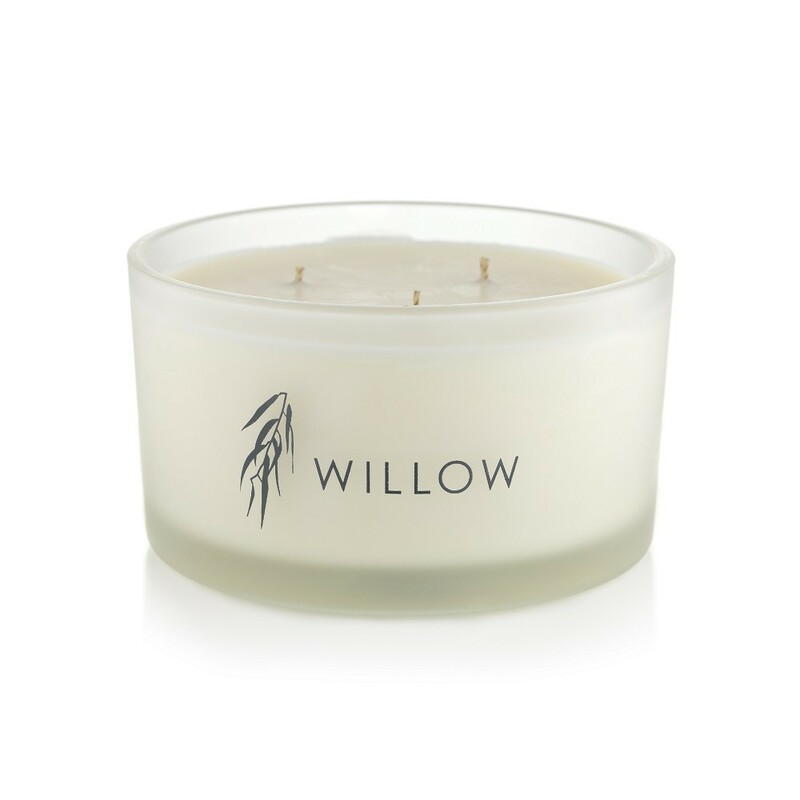 With an 80 hour burn time this candle is not only an eco-chic way to fragrance your home and create beautiful soft lighting, it is a lasting decorative piece. 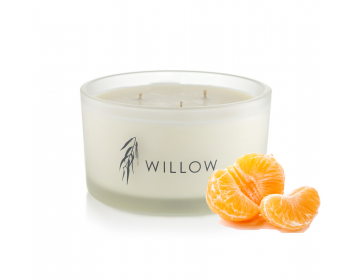 Advice: allow the candle to burn all the way to the edges before blowing out the first time lighting. This ensures it burns evenly throughout.